Why commit to just one dish when you can sample a selection? 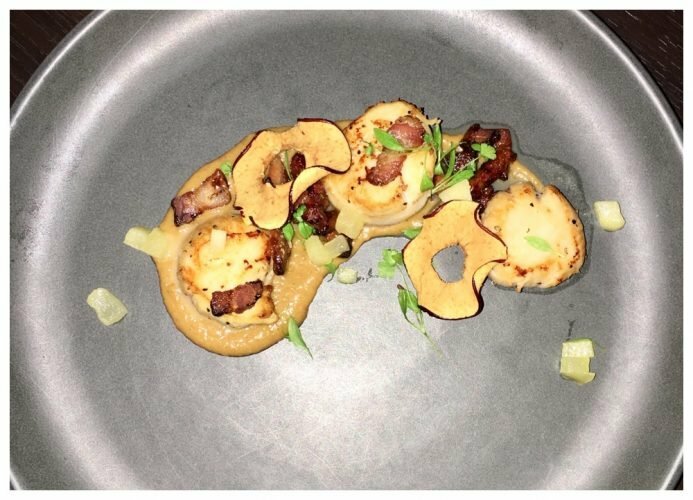 Sometimes when you need a change of *foodie* scenery, it’s nice to venture slightly further afield and try something new. 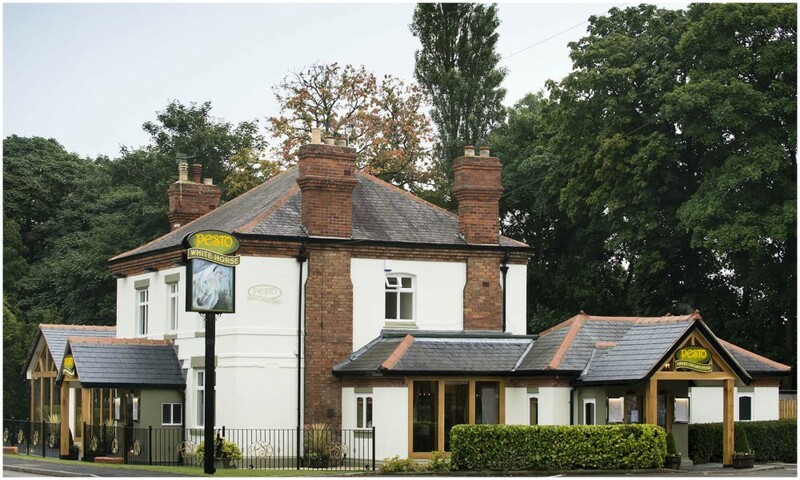 In this case we headed to Desford and ate at Pesto, a family-friendly restaurant based at The White Horse. 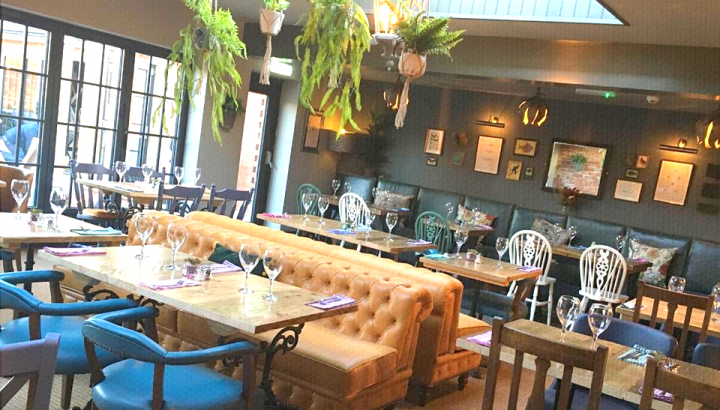 The Desford eatery is just one of 11 other restaurants dotted across the UK (the latest opening was earlier this year in Chester) created by husband and wife team Neil and Sara Gatt. 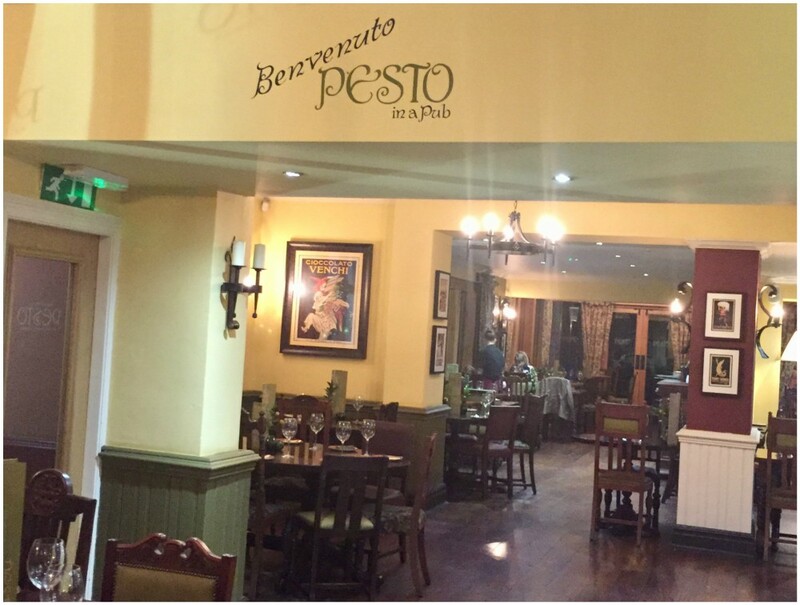 I’ve not been to any other Pesto restaurant but the Desford branch is an ode to Italy with dark red wine and olive green walls. It’s cosy and bright and I got the feeling it must have once served as the local watering hole. There’s also amples of parking outside. There’s a bar area immediately at the front as you walk in and the main restaurant opens up towards the back and beyond there’s a large outdoor terrace. When we visited it was heaving, every single table (and there’s plenty of them) was occupied – always a good sign. The big draw here is the food and theres’s lots of it at Pesto. 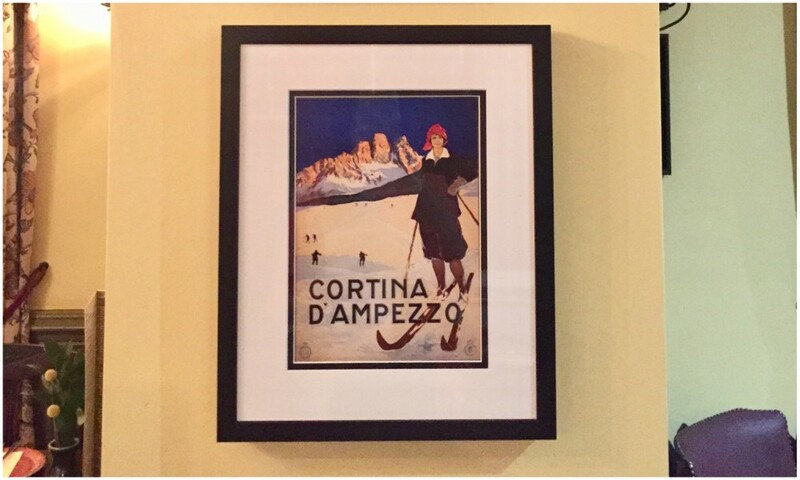 This is the place to go when you fancy pasta, pizza, panzella and panecotta. At Pesto, you don’t have to commit to one main dish, because the menu offers ‘Piattini’ which simply means ‘small plate’ in Italian. 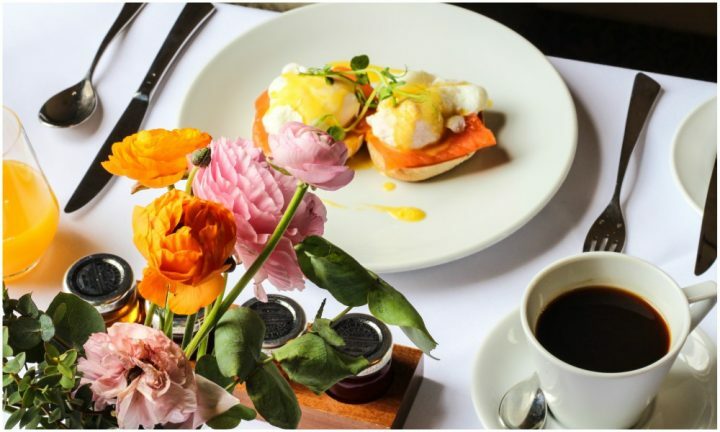 The menu is extensive – there’s more than 40 dishes available on the main menu, tonnes of veggie options and they also serve gluten free pasta. We started off with mushroom bruschetta (there’s five varieties of brushetta on the menu) and olives and then moved onto a selection of small plates including polenta chips made with rosemary, Gran Moravia cheese, good ol’ penne arrabiata. We also picked roasted peppers stuffed with goat’s cheese, mozzarella, spinach and pesto, deep fried cod and diced potatoes sautéed with fresh garlic and oregano. We may have over done it slightly but it was hard to know when to stop. They recommend 3-4 dishes per person but you can always order more dishes if you need. What we should have done, was ordered a salad instead of the deep-fried Polenta chips which we found a little too greasy. A selection of other dishes. 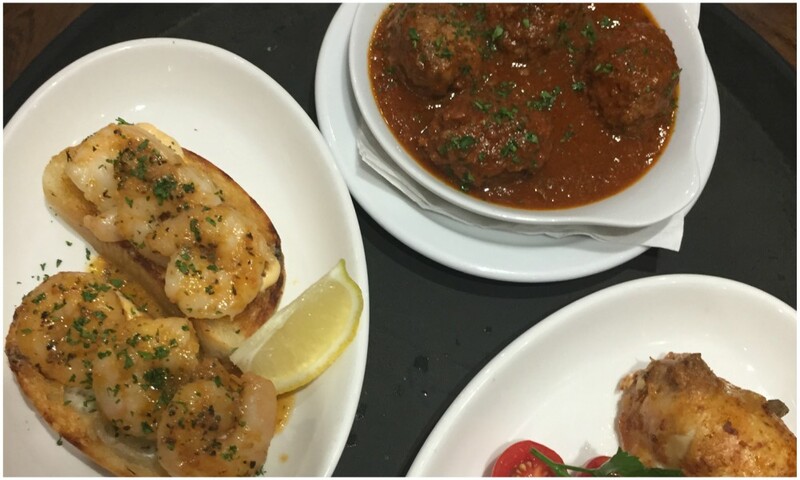 Meatballs, king prawn bruschetta and chicken wings. The pasta was a little dry, but overall the dishes were all tasty and it’s obvious these small plates know how to pack a flavour punch. For dessert (I’m not sure how we managed) we ordered the tiramisu and the chocolate tray bake which was basically a brownie. The presentation was simple but the dessert wasn’t and I was actually a bit tearful when it was over. 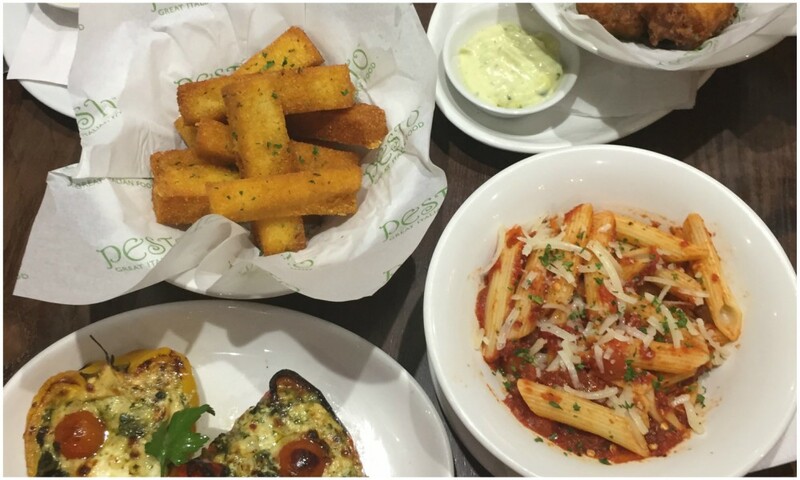 I’ve been here with my son and he enjoyed the food – it’s definitely a family affair at Pesto. They have a separate kids menu which includes food for bambinos and junior piattinis and unlike a lot of other kids menus, there’s more than just three options available, plus there’s a milkshake menu which both big and little kids will love. Good for: Couples, big and small groups with food and drink in abundance. Great for birthdays and other special occasions too because everyone is catered for and sharing is encouraged. Not for: Traditionalists looking for large plates and a pint of something dark and frothy. The damage: Reasonably priced. 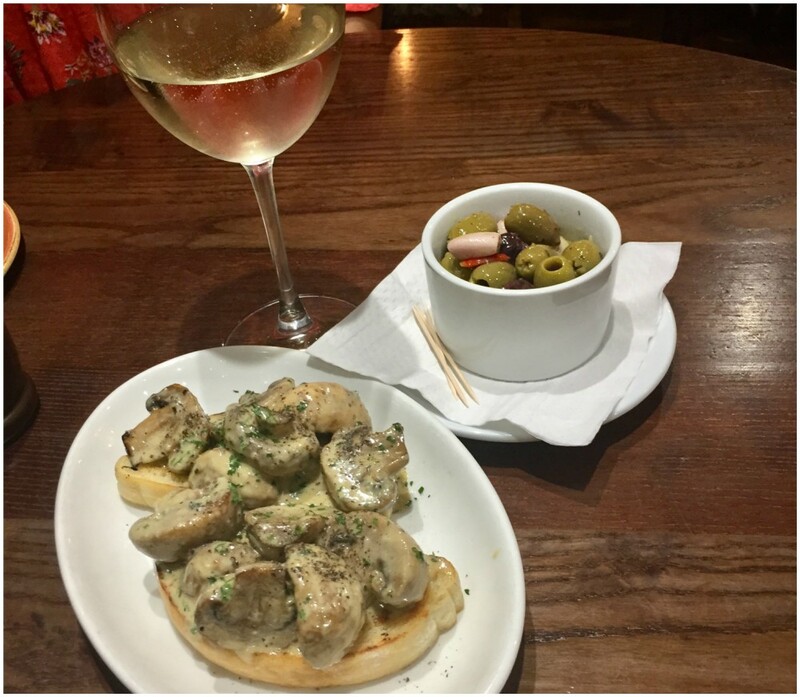 The small plates start from £2.95 for bread and go up to £5.95 for seafood. Desserts are also priced similarly and here’s also a fabulous cocktail list and wine menu. 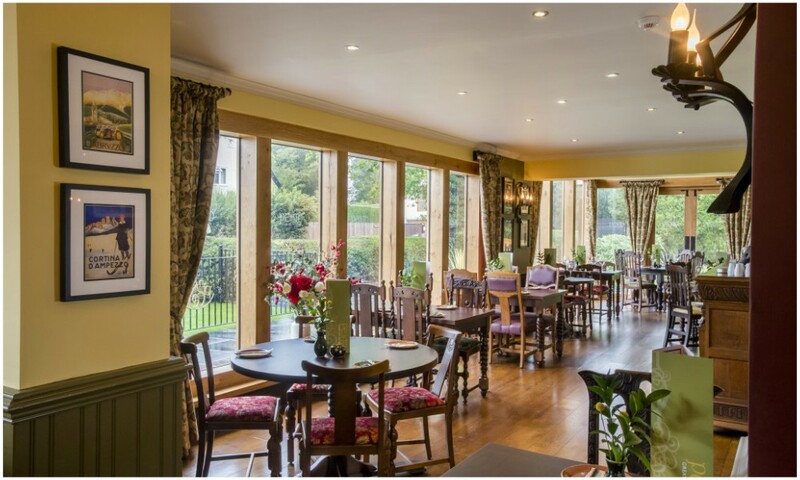 The afternoon menu sounds tempting and comes with Italian finger sandwiches, cakes and sweet treats for £12.95. 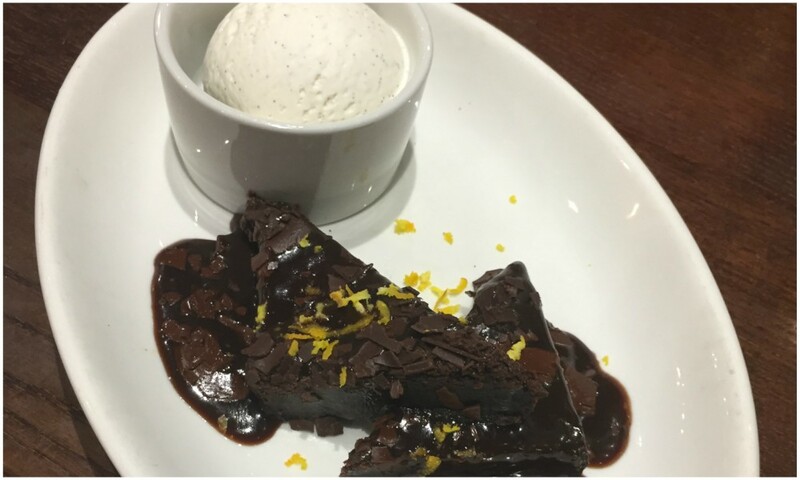 Bambino menu is £4.95 for three courses and the Junior menu is £7.95 for two small dishes, a drink and dessert.